Cuttlefish in its own ink. One minute recipes, a series of the cephs and chefs project. Taste the amazing freshness of the Atlantic Area cuttlefish….. soooo tasty…..mmm…. This is the first video of a series of eight “one minute recipes” videos based on cephalopods products. The video shows an easy way to prepare cephalopod traditional receipts from Portugal and Spain. In this first video the Spanish chef prepare a delicious dish of grilled cuttlefish with garlic mayonnaise. We hope you enjoy it! Grilled cuttlefish with garlic mayonnaise. 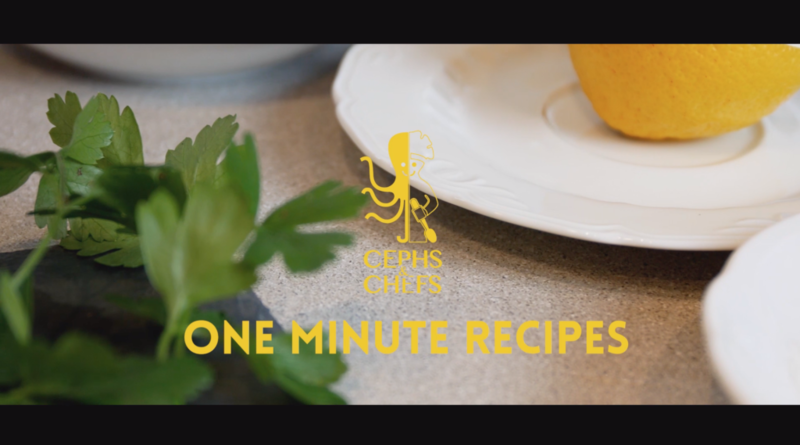 One minute recipes, a series of the cephs and chefs project. Taste the amazing freshness of the Atlantic Area cuttlefish….. soooo tasty…..mmm…. Terrine of Octopus and Carpaccio of Octopus by Anne O’ Leary, GMIT, Galway, Ireland. Fourth video of the miniseries “A sunny day with Glen and Chapy” framed in the project Cephs and Chefs of INTERREG Atlantic Area. On the squid “the giant of the marine legends”. 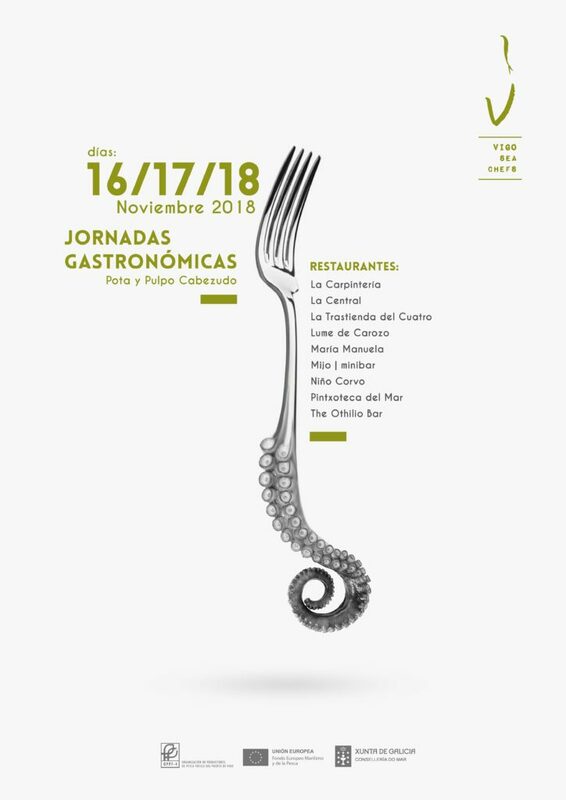 Cephs and Chefs will collaborate with the Fresh Fish Producers Organization of the Fishing Port of Vigo (OPPF-4) in the organization of Gastronomic Days within the Vigo Sea Chefs Project. 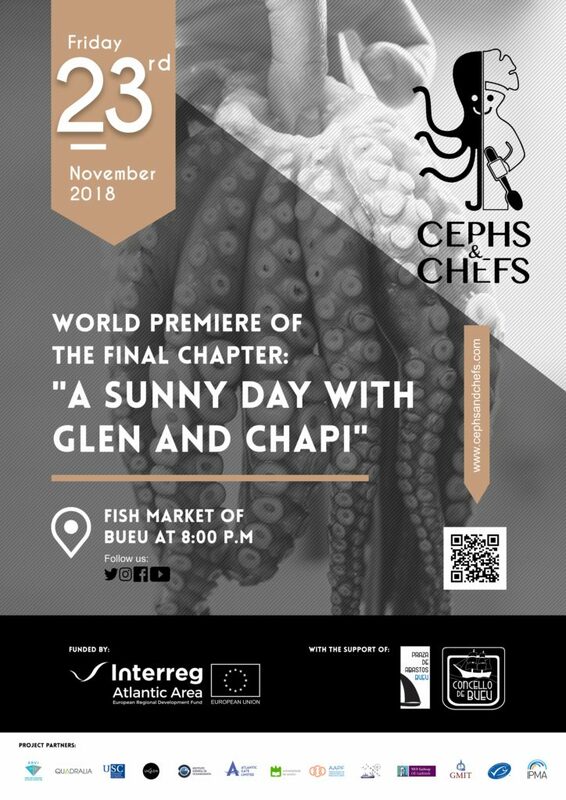 Third video of the miniseries “A sunny day with Glen and Chapy” framed in the project Cephs and Chefs of INTERREG Atlantic Area. About the Cuttlefish “the writer of the sea”.